I take no great pleasure in writing this email. But it’s an email I have to write, to prepare you for the coming onslaught of ‘Red Flag Gun Seizure’ legislation not only here in Missouri — but across the country. 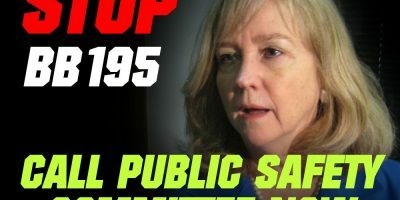 ‘Red Flag Gun Seizure’ legislation would empower left-wing judges to order your firearms confiscated without due process. No charges, no day in court, no conviction of anything whatsoever — just a knock on the door demanding you turn your firearms over. This legislation is the “holy grail” of Michael Bloomberg lobbyists trolling around the State Capitol in Jeff City. Three separate versions of this legislation have ALREADY been pre-filed in the Capitol, meaning this is going to be a big fight in 2019! Sadly, the NRA has come out in support of ‘Red Flag Gun Seizure’ legislation, and gave political cover to Republican governors in Florida and Illinois who signed this bill into law in 2018. Their support for this legislation is giving the bill a real chance to become law in states like Iowa, Tennessee, Michigan, Pennsylvania, Ohio, and many others. 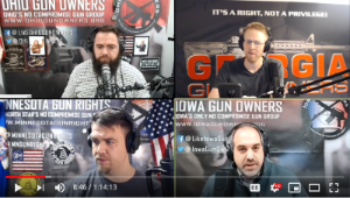 Last week I participated in a social media podcast with three other state level gun rights leaders from across the country discussing the NRA’s support for ‘Red Flag Gun Seizure’ legislation. This podcast has been viewed almost 50,000 times on social media in just a couple of days. I’ve just posted the podcast on the Missouri Firearms Coalition YouTube page — please click below to watch it. After you’ve watched this, please take a moment and share it with your friends. To renew your Missouri Firearms Coalition membership for 2019 — Click Here. To join the Missouri Firearms Coalition for the first time — Click Here.